10. 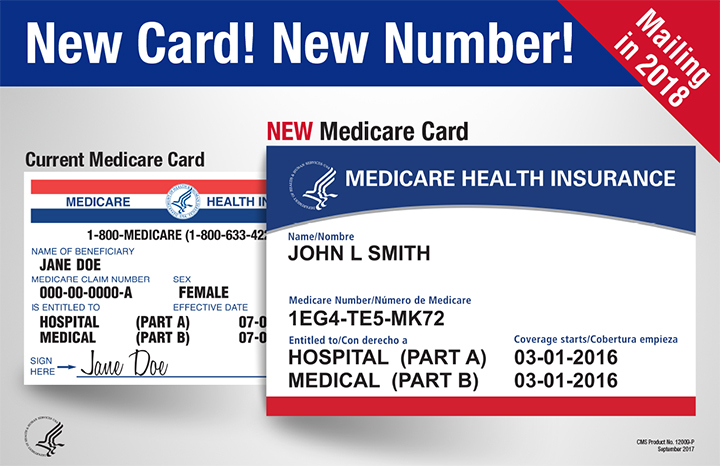 Help is available: If you don’t get your new Medicare card by April 2019, call 1-800-MEDICARE (1-800-633-4227). TTY users can call 1-877-486-2048. You have the right to get Medicare information in an accessible format, like large print, Braille, or audio. You also have the right to file a complaint if you feel you’ve been discriminated against. Visit CMS.gov/about-cms/agency-information/aboutwebsite/ cmsnondiscriminationnotice.html, or call 1-800-MEDICARE (1-800-633-4227) for more information. TTY users can call 1-877-486-2048.